Six self-contained units accommodation, including 2 bedrooms, fully equipped kitchen, comfortable lounge and bathroom. Includes complimentary WiFi access, Guest BBQ, laundry facilities and offstreet parking. 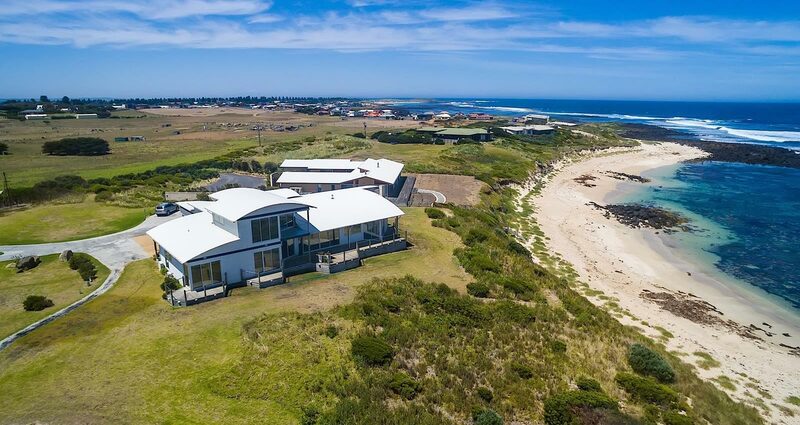 Amazing 180 degree ocean views of East Beach, two storey architecture newly built home with 3 bedrooms, gas log fire, spa and Austar. 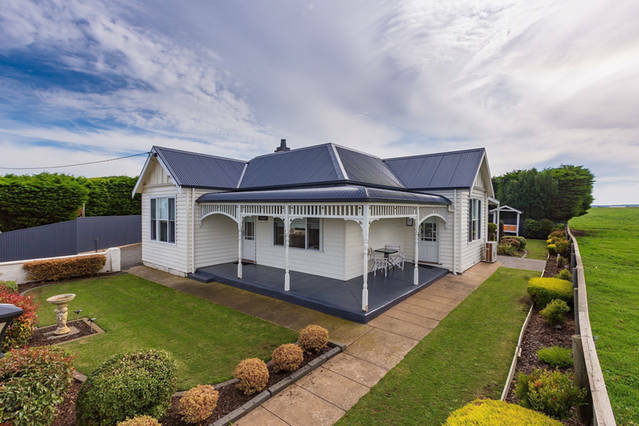 Situated only 100 metres from surf club, 500 metres from Moyne River and a very short walk to restaurants and cafes. Maisies on Moyne, luxurious three bedroom split level accommodation & Maisies Cottage, two bedroom heritage listed cottage on the Moyne River. 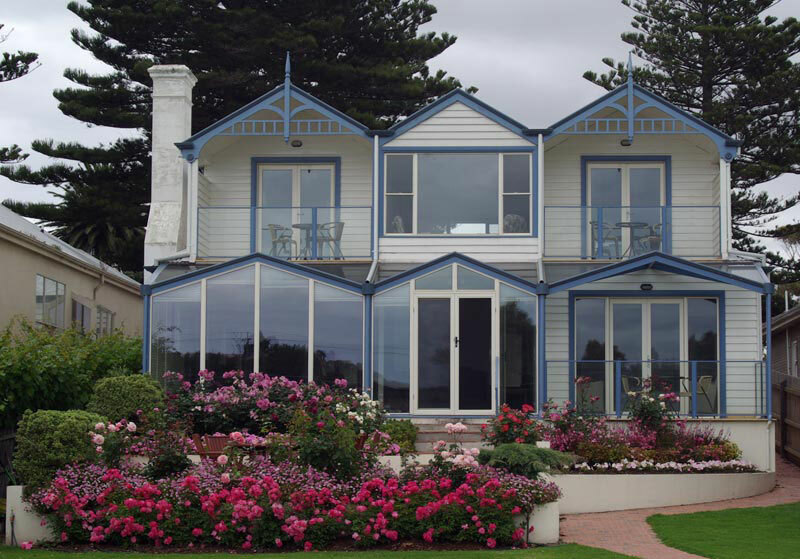 Located at the end of the Great Ocean Road in Killarney, Calgary House and Killara Accommodation are nestled amongst rural surrounds by the ocean. Hosts Heather and Paul Gleeson have over 20 years experience in running bed and breakfasts and welcome you to enjoy their tastefully executed self-contained establishments. Five accommodation choices: The Penthouse, beach frontage, 3 bedrooms sleeps 6; Horizons Beachfront Apartment, 3 bedrooms sleeps 8; Dockside Waterfront Indulgence, river frontage, 2 bedrooms sleeps 5; Boathouse Holiday House, beach frontage, 3 bedrooms, sleeps 8. Sympathetically designed and constructed to complement the coastal environment overlooking the Southern Ocean. Wytonia's expansive views are breathtaking .... natural dunes, lagoons, reefs. Explore our own stretch of private beach frontage. Relax and unwind at Pelican Waters Holiday Park on the banks of the Moyne River, Port Fairy. Affordable, quality self contained accommodation. Choose from our: 2 Bedroom Cabins, 3 Bedroom Lodge, 2 Bedroom Train Carriage, 2 Bedroom Villa, 3 Bedroom Unit or 2 Bedroom Accessible Villa. Accommodation for two. Part of the larger Old St Andrews estate, this architect designed retreat is ideal for couples. It was completely renovated in 2011. The courtyard is sheltered and secluded. North, East and West facing, the balcony overlooks the town, an orchard and native garden.